What sort of damage can a storm do to my business? How do I know if I'm insured against storm damage? Each of the negative impacts listed below is covered by a different type of insurance – so it’s important to check whether your policy or policies include the right elements. If your business premises are damaged, this will be covered by your buildings insurance policy. If you rent the property your business operates in, this is your landlord’s responsibility.But, if you own the premises, you’ll need to take out a buildings insurance policy to be covered against storm damage. Anything contained in your business premises, but which are not part of the structure or permanent fixtures of the building, are covered separately by your contents insurance policy. This covers your stock and any equipment you might have on the premises, including things like fridges, washing machines computers or IT servers. As a general rule, any fixtures that you have fitted and paid for are your responsibility to insure or replace, whether you own or rent the premises. Both buildings and contents insurance fall under the area of Commercial Property Insurance. We received a call from a commercial property Manager regarding 4 of his units that had been flooded, reason unknown. 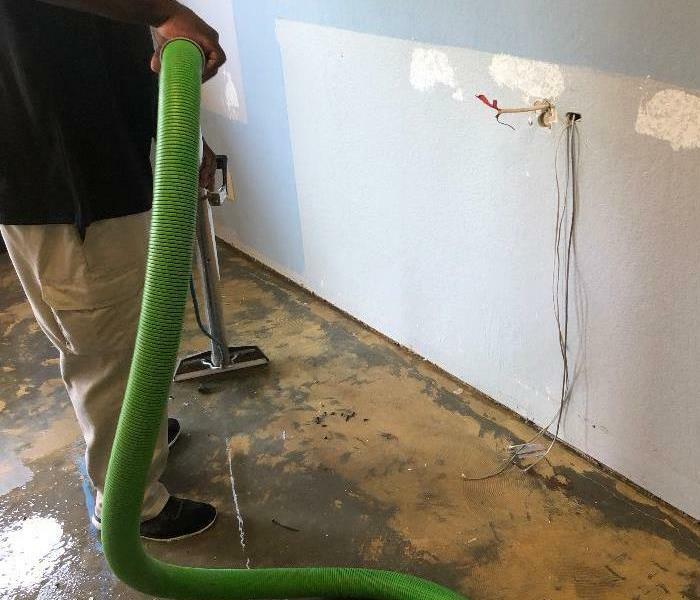 SERVPRO arrived on the scene within an hour to find a few employees from the Salon emptying buckets of water and pushing water outside of the building using push brooms. SERVPRO doing what we do best, sprung into action and started to mitigate the damage immediately. At the end of the day we removed all the water, removed the base boards/flooring and set up equipment to start the drying process. Due to our quick response and hard work the Salon was able to take clients in less than 24hrs! SERVPRO of Pleasanton/Dublin has been serving its community since 2008 and looks forward to many more years to come! Building InfrastructureEnsure that your commercial building is made with fireproofing material, such as spray-on thin-film instumescents, endothermic materials, or concrete. There should also be fire walls, fire barriers, fire partitions, as well as smoke barriers. Walls should extend from a fire rated floor to a fire rated ceiling above and also reach into hidden spaces for complete protection. These barriers are designed to contain the spread of a fire. Fire doors and windows should be placed at the opening of a fire barrier to add to the resistance. You should also have the basic fire safety equipment such as a fire extinguisher. Emergency Light and GeneratorsYou should have emergency generators that will kick in to supply power for lighting. These lights should clearly mark all emergency exits and make exit signs visible. These generators should be tested regularly as well. Fire Safety ProtocolsThere should be a culture of fire safety among employees and all personnel should be familiar with safety policy and procedures with regards to fire. For example, all staff should be aware that fire exits should be kept clear at all times. Fire ExtinguishersThe fire extinguisher is perhaps the most visible mark of fire safety, and the location and accessibility of the fire extinguisher will have a large impact on how effective it proves to be. Generally, a person should not have to travel more than 75 feet to reach a fire extinguisher. Maintain ULC-listed Fire Alarm MonitoringThe fire alarm system is designed to notify occupants to get out of the building. On its own, it does not let the fire department know that an alarm has sounded. Maintaining fire alarm or sprinkler monitoring in conformance with CAN/ULC-S561 will ensure that you meet all applicable codes and the fire department is notified of any alarms that sound. When in doubt it is better to be safe than sorry.Call your local SERVPRO office for free advice and/or help. Mold can cause serious illness!A simple phone call could be the difference between life or death. Class 3 has saturated the ceilings, walls, floors, and even subflooring and insulation. Usually, the moisture has come from above ? like a burst pipe. Damage from long standing water falls in this class, like river flooding or storm surges from a hurricane. It has saturated materials such as stone, brick, and hardwood. These materials have low permeance ? meaning they do not soak up liquids quickly. Time is the primary factor in this category. With a higher cost of cleanup and repair, it is important to get problems diagnosed and solved as quickly as possible. There are just as many preventions as there are causes. 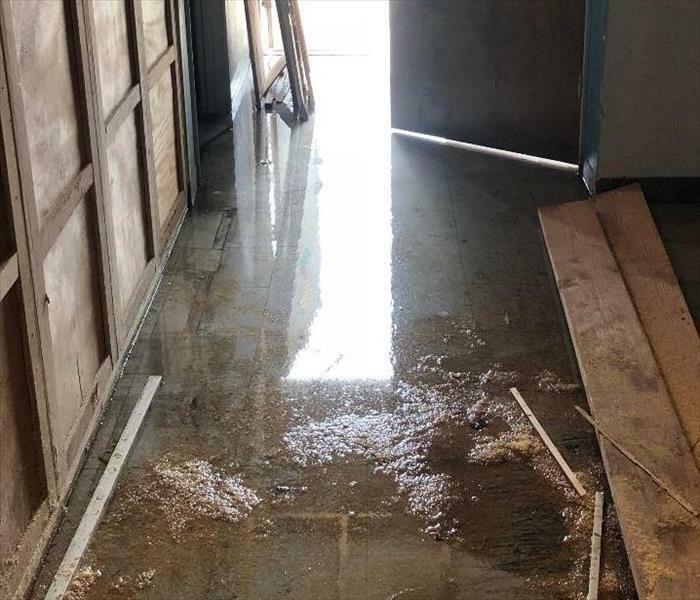 Being proactive in preventing water damage is usually less expensive than repairing damage after it happens.Keep the basement dry as it?s the most common place to find damage. Flooding, burst pipes, and even clogged gutters can cause leaks. Pitching the landscape, cleaning the gutters, and installing downspout extensions are simple outdoor fixes. From the inside, install a sump pump and water alarm. Have the basement inspected for waterproofing ? or have some installed.Cleaning a gutter and sloping the landscape can be a free, DIY activity if the necessary tools are available. Downspout extensions can cost as little as $50, depending on how many are needed. The savings are incredible considering basement cleanup and repairs can run upwards of $10,000. One of the simplest proactive steps is getting an annual plumbing inspection. These are often free or free with other services. The plumber will inspect all visible plumbing including fixtures, pipes, appliances, and drains. They diagnose and fix small problems before they become big ones. They can also tell you the best time to replace worn fixtures and appliances. 8/30/2018 - How do I know if I'm insured against storm damage?